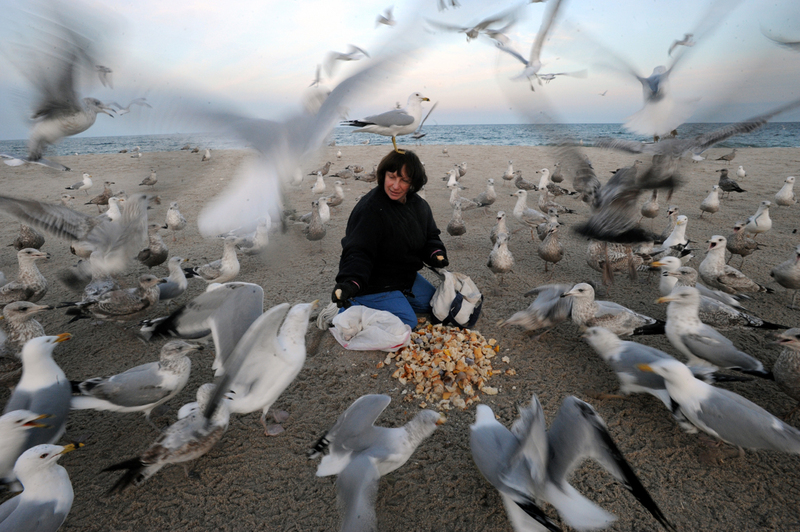 Linda Serafin feeds seagulls at Point Pleasant Beach in New Jersey on March 15, 2008. She feeds the birds almost every day in the winter. She recognizes several of the birds and has given names to them.